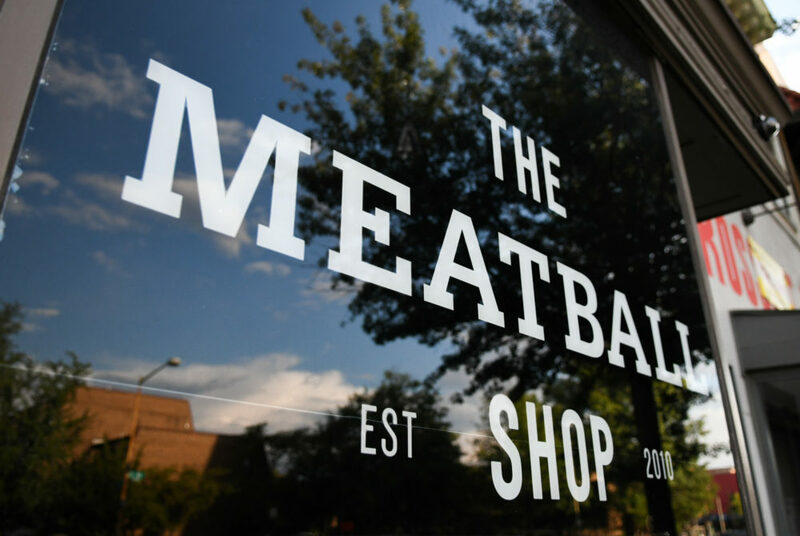 The Meatball Shop, located at 1720 14th St. NW, will open its first location outside New York City Wednesday. A New York-based chain dishing out customizable meatball meals is rolling into the District. Just as the name implies, The Meatball Shop exclusively serves its namesake, which can be built as an entree or sandwich topped with a variety of sauces. The D.C. shop is the company’s first location outside New York City and will open its Logan Circle doors Wednesday. The location at 1720 14th St. NW will offer classic menu items like meatball sliders and heroes, but also offer D.C. exclusives including a crab cake version of the dish. Ordering is simple. Customers must choose a meatball, top it with sauce, select a style and then add sides. The headlining base is a classic meatball, but pork, chicken and veggie options are also available. Aside from classic tomato, the meatballs can be topped with sauces from spicy meat sauce to mushroom gravy. Customers can opt for a single meatball ($3.50) or make it an entree, tacking on additional costs as ingredients are added. The naked ($9.50) comes with four balls and a piece of focaccia bread, while the kitchen sink ($16) has three balls atop a seasonal salad. Sandwiched varieties include a hero ($15), which lines three meatballs on a baguette with melted cheese, or a smash ($14), which sandwiches two meatballs on a brioche bun with melted cheese. Diners can add a side to their meal for $7, and the offerings range from lighter sides like salads and roasted veggies to traditional pairings like spaghetti and risotto. Although he didn’t come up with the concept, Adam Rosenbaum, CEO of The Meatball Shop, said the idea was based on the fact that meatballs are a universal food. 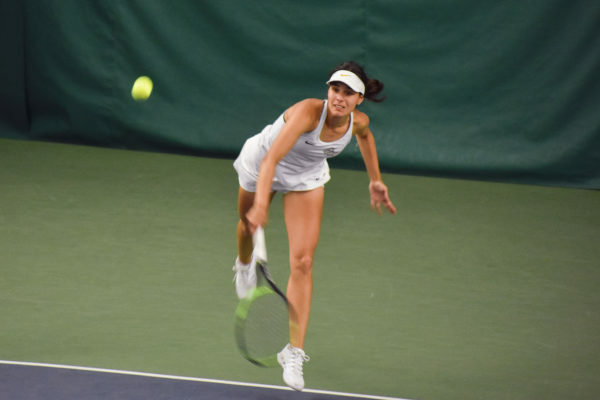 “Seeing that every culture has some version of that food, they were like ‘this should be great, everyone loves meatballs,’” Rosenbaum said. Rosenbaum said every culture has its unique take on a meatball because it was once used as a way to ration food. Now, the company dials the meal up a notch and serves the well-loved dish in upscale digs. D.C.’s 70-seat shop houses wares you’d expect to find in a restaurant that caters to young people. Exposed brick, neon signs and bright natural light perfect for shooting photographs are just some of the space’s features. A rare find in the District, the 14th Street shop will open for lunch and keep serving through at least midnight each day, with last call set for 2 a.m. Friday and Saturday. Punchy menu names also cater to customers and come standard at The Meatball Shop. Customers can request a “swift kick in the balls” ($1) to add hot sauce to any dish, sip on a cocktail called “Venmo me later” ($12) or visit a spinoff of the restaurant, a Hell’s Kitchen bar dubbed the Sidepiece. The menu goes beyond just lunch and dinner, as brunch is served on the weekends and any meal can be finished with dessert. The brunch menu sticks to savory options and adds meatballs to biscuits and gravy ($15), or tops the staple sandwich with a fried egg ($15). For something sweeter, the restaurant is also known for its customizable ice cream sandwiches ($6), in which scoops of ice cream in flavors like brown sugar and chocolate come sandwiched between double chocolate chunk and snickerdoodle cookies. Ahead of the shop’s opening, the restaurant is collaborating with D.C. establishments Le Diplomate, 305 Fitness, The Watergate Hotel and ChurchKey for a scavenger hunt running through Saturday. Golden meat grinders – the piece of restaurant equipment, not the sandwich – are hidden around D.C. and partnering businesses will post clues for the item’s whereabouts on social media each day. The first person to find the grinder will win prizes from the location they spotted it at, along with one order of naked meatballs per week for a year.